HOLLYWOOD SIGN can be seen from the park. How well do you think you know Griffith Park? Well, did you know that there was once an airfield inside the park? Or how about a speakeasy for golfers during the Great Depression? You probably knew about the ostrich farm, right? And the prison farm? Or what about that small town, called Rodger Young Village, which housed over 6,000 people (military veterans and their families) for seven years after World War II? 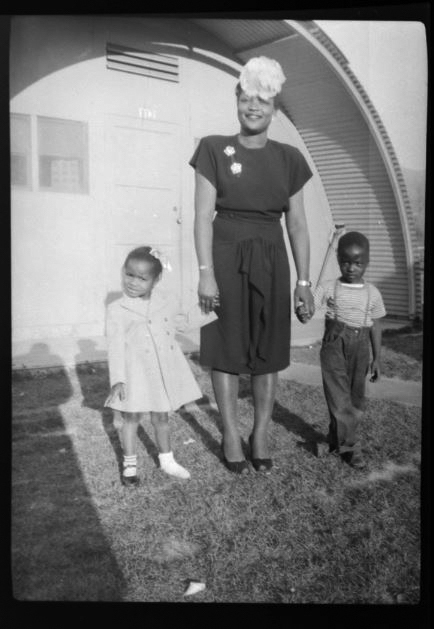 Left: QUONSET HUTS were all-purpose, prefabricated buildings made of corrugated steel that were built in Rodger Young Village (1947-1954) for military veterans and their families after WWII. Each home was 80 feet x 20 feet. An unfurnished unit cost $34 per month. Open to all veterans, Rodger Young Village became one of the most racially diverse neighborhoods in Los Angeles during this era. Do you know about its darker history? That thousands of Los Angeles citizens of Japanese ancestry were sent to a detention camp in Griffith Park after the bombing of Pearl Harbor? Or that a Memorial Day riot erupted at the Merry-go-Round in 1961 when an African-American youth, after having challenged the practice of reserving the Merry-go-Round for white families, was accused of boarding the ride without a ticket? 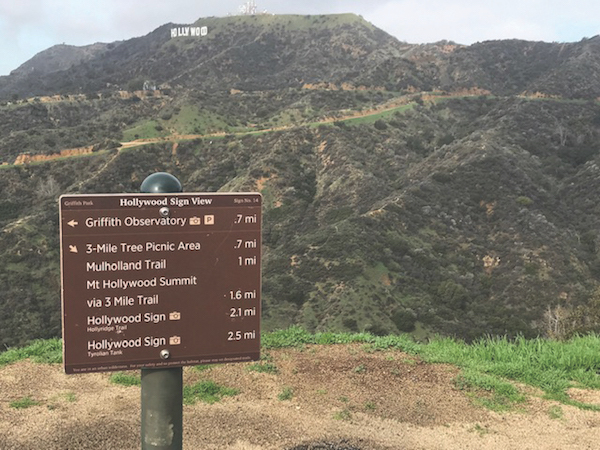 You surely know that Griffith Park, clocking in at more than 4,200 acres, dwarfs Manhattan’s 840-acre Central Park, right? If you didn’t know these things, and even if you did, you’re in for a treat: As the park readies for its 125th anniversary in 2021, The Autry Museum of the American West, which resides in Griffith Park, has decided to give the park its well-deserved due, creating a community-driven, permanent exhibition that explores the creation, history, nature, wildlife and usage of one of the world’s great city parks. 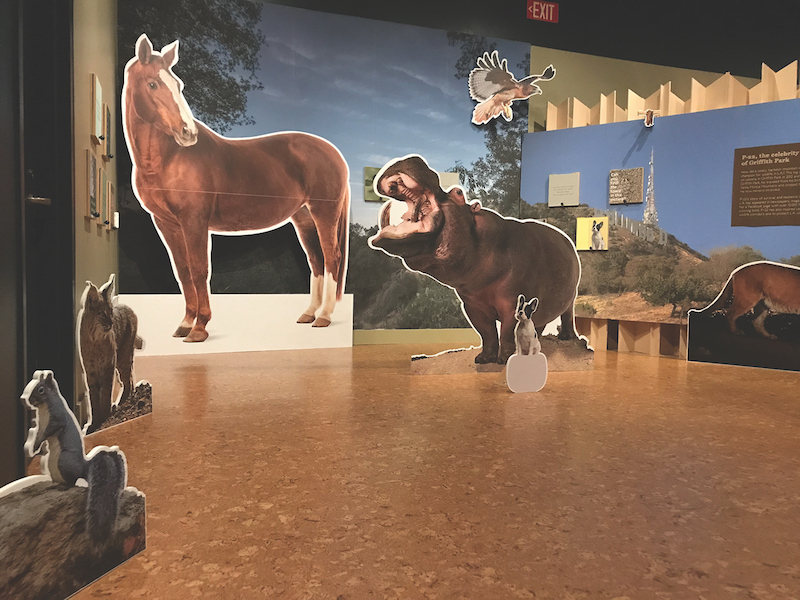 As that germ of an idea grew, the scope of the project grew with it, leading to the current “Investigating Griffith Park” temporary exhibition. PANORAMIC SHOT shows Phase I of the exhibition. Griffith Park is readying for its 125th anniversary. The first phase of the exhibition, known as “Phase I: Discovery,” is up and running as we speak. Visitors to the museum can currently walk through a temporary gallery, exploring pictures, objects and history, while also participating in discussions, archiving their own memories of the park, showcasing ideas, and partaking in hands-on activities in order to explore, test ideas and share thoughts with the museum as the staff investigates what makes Griffith Park a unique part of Los Angeles. 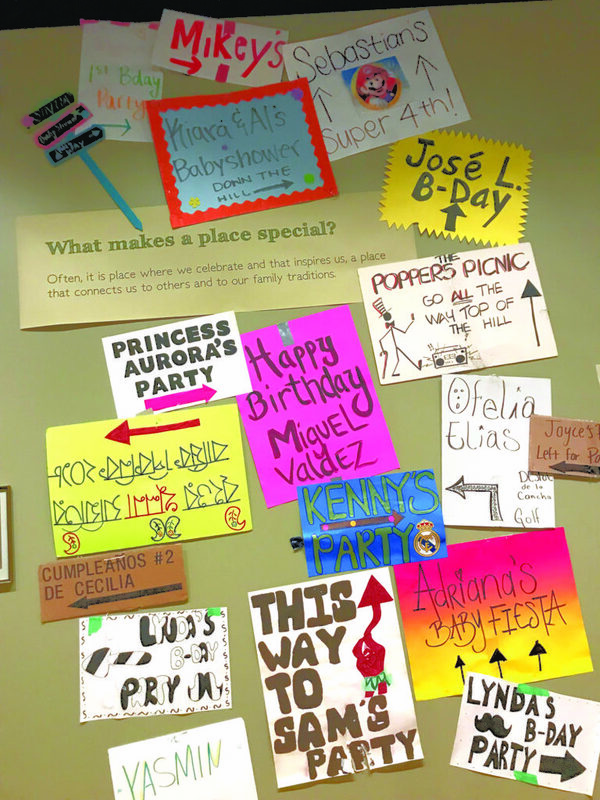 COLLAGE of birthday posters “left behind” have been gathered by museum staff. “We are in the incubator phase,” says Sarah Wilson, Education Curator. “And this is very unusual for a museum to do this type of exhibition outreach. The process for creating and developing exhibitions usually happens underground and behind closed doors. “Nine-year-olds have just as strong opinions as adults,” laughs Brucken. The park’s original 3,000 acres were donated to the city of Los Angeles by Griffith J. Griffith and Christina Griffith in 1896, on the condition that the land be used as a free public park. “It must be made a place of recreation and rest for the masses, a resort for the rank and file, for the plain people,” directed Griffith for his donation. Today, Griffith Park includes a 1926 Spillman carousel, pony rides, multiple golf courses, several rare wild gray foxes, coyotes, deer, coast horned lizards, rattlesnakes, the Greek Theatre, Griffith Park Observatory, Travel Town trains, the Los Angeles Zoo, rare plant species, the Hollywood sign, a bachelor mountain lion known as P-22, and over 53 miles of hiking trails. “IF YOU LOOK out from Mt. 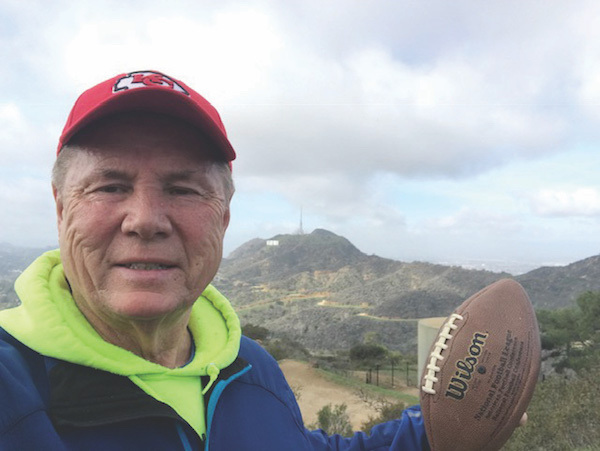 Hollywood, you can see four national forests,” says former City Councilman Tom LaBonge. During his many morning hikes, LaBonge has run into everyone from local friends to former Supreme Court Justice Sandra Day O’Connor. 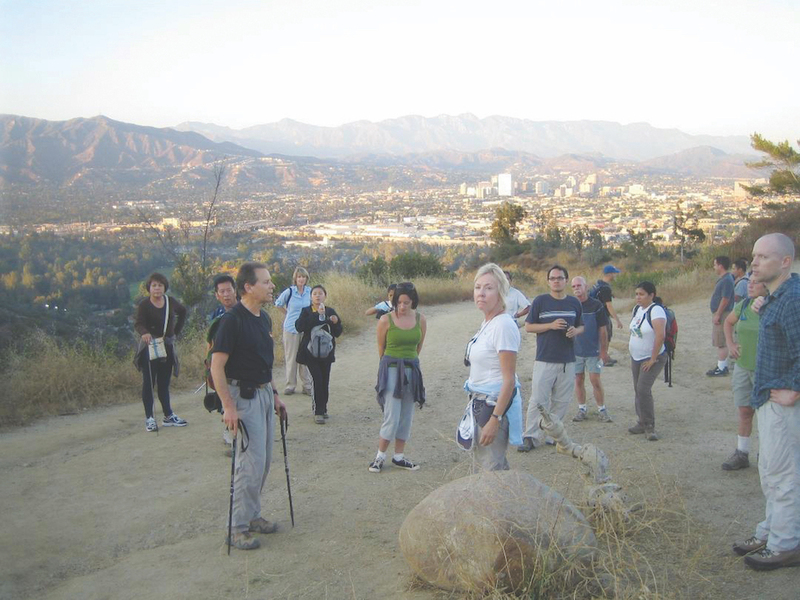 Another avid local hiker is Windsor Square Association President Larry Guzin, who chooses the evening hours to trek the park. Guzin, like LaBonge, also grew up with the park at his doorstep. “I ran cross country in high school through the park, earned Boy Scout merit badges in the park, and even used the park to train for nine treks through the Himalayas.” For the last decade, Guzin has led over 300 Sierra Club hikes throughout the park two times per week. Walking through Phase I, visitors will see information on the park’s history, both known and lost, wildlife, native plants, the Tongva Native Americans, and even the movie industry, where Griffith Park holds the honor of playing background in Cecil B. DeMille’s 1913 silent feature film “The Squaw Man,” which gave birth to Hollywood and the Southern California film industry. “‘A rock is a rock, a tree is a tree. Shoot it in Griffith Park,’ goes an old Hollywood industry saying,” reads one sign in the exhibition. The community’s answers to Phase I’s questions will lead to Phase II of the exhibition, which will involve “idea testing” based on the previous community input. 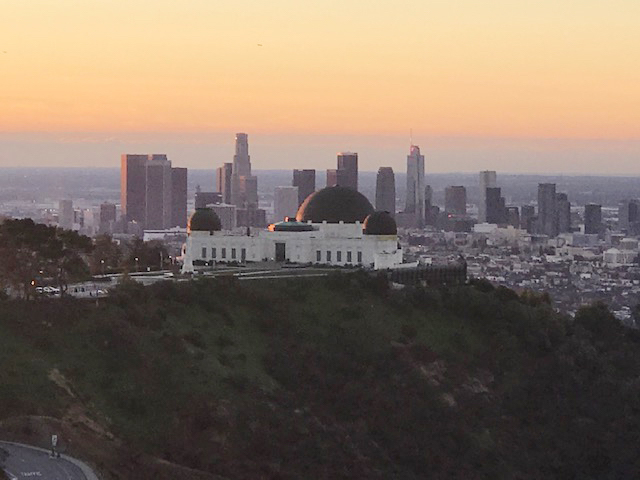 The final phase, Phase III, the permanent exhibition, will open in connection with the 125th anniversary of Griffith Park in 2021-2022. GRIFFITH OBSERVATORY with a view of the city skyline. The future of the park weighs heavily on everyone’s minds. LaBonge also encourages thoughtful planning on behalf of the park. For more information on Investigating Griffith Park or to submit your own ideas about the exhibition, visit the museum itself or go to theautry.org.